This is elegant, authentically looking dress is based on one of our most popular patterns. It is made of high quality flax linen with handmade embroidery. Sleeves lacing and lacing on the back allows you to adjust its size to match your body shape as precisely as possible. This dress is made of natural flax linen - authentic, natural fabric with incredible heat-resistance and moisture-absorption properties which lasts for ages. The dress is decorated with handmade embroidery along the neck which enhances the impression of exquisite elegance and accentuates the beauty of the natural color dress. 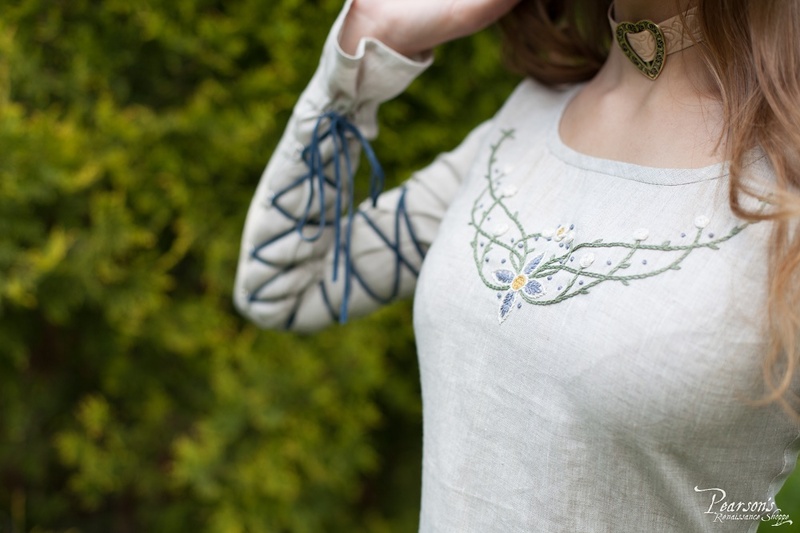 This dress may be both a central element of your character wardrobe or just a gentle accent of it, which makes it an indispensable part of your LARP, medieval, renaissance fair event costume. 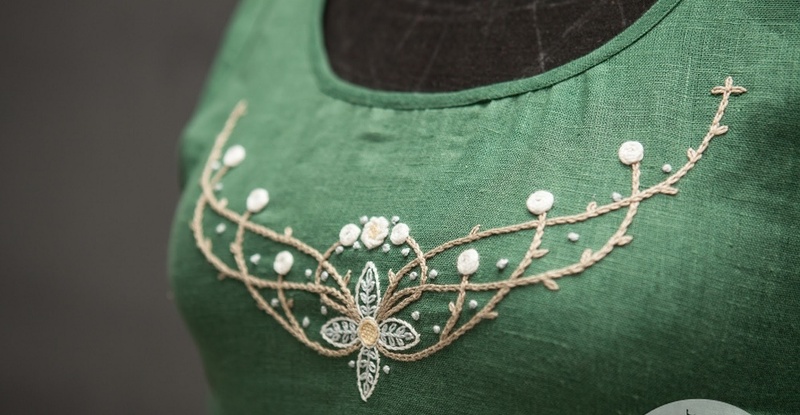 The idea of the dress is an idea of the Fairy Tale character with Irish or Wells colors and decor, so this dress will be great for an Irish wedding ceremony or fantasy event. Please note, if the difference between your waist and hips circumferences exceeds 9 13/16 in, the dress won't fit tightly.